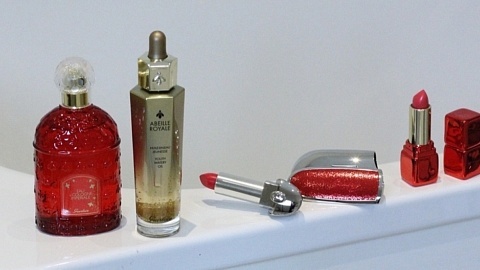 I’m always on the look out for a beauty product that can take my skin from healthy to utterly fabulous. However we all take the time to look after our skin yet we don’t always have the time in our busy lives to visit the salon. So when I find a beauty treatment I can use at home but that’s salon professional I get really excited. I’ve always enjoyed applying a face mask. In fact Korean women will use a face and eye mask every single day. They are a great way to quickly boost your skins hydration levels. Instead of just a weekly spa treat I incorporate a face mask into my daily skincare routine. I’ve seen some amazing results. Not only is my skin looking fresher and more youthful, I also find that my make up goes on better and lasts longer. The newest, and quite frankly the most fun, trend in the beauty world at the moment is the modeling ‘rubber’ mask. I love the Shangree Gold Premium Modeling Mask for the ultimate indulgent at home beauty treat. I mix the gel with the Active Collagen Powder, apply it liberally to my face, sit back and let it do all the work. It peels off incredibly smoothly and leaves an instantly more refined complexion. I love how the rubber effect of the mask seals moisture deep within the skins surface. After each mask I feel my skin is revitalised and it continues to feel hydrated days later. Infused with gold and caviar, this face mask is delightfully extravagant with genuine results. Within the modeling mask range there’s a silver, green and black version. 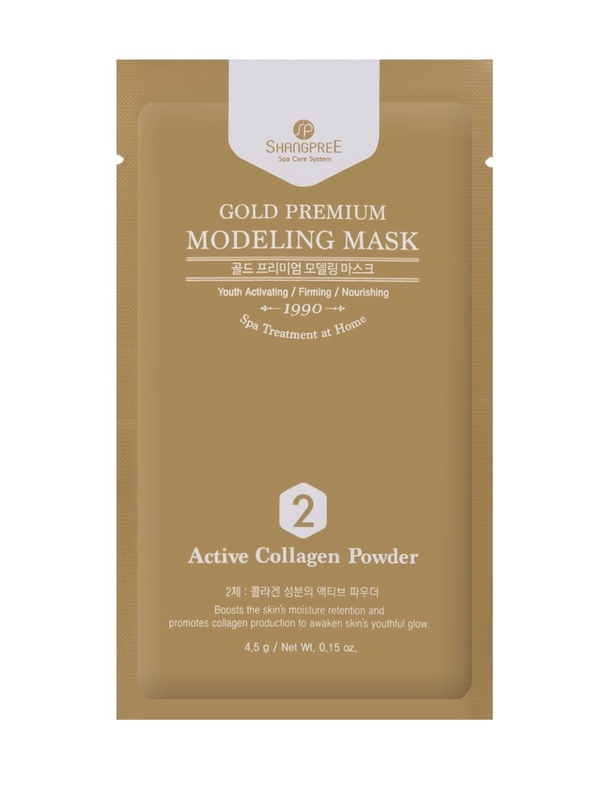 The Shangpree Silver Premium Modeling Mask is infused with silk amino acids and helps to replenish collagen levels giving my skin its strength and elasticity. It help skin become brighter and more radiant, with an intense moisturisation. The Shangpree Green Modeling Premium Mask helps to soothe irritated or sensitive skins thanks to its spirulina, chlorella and green tea ingredients. I love how it leaves my skin cool, calm and refreshed. Finally the Shangpree Black Premium Modeling Mask contains charcoal to help detox my skin and pull out any impurities. I love to use this after wearing a lot of make up as I feel my skin needs some deep cleansing. The witch hazel really leaves my skin cleaner and smoother. I think its really important to take extra care of the delicate skin around you eyes. This is where fine lines and wrinkles appear first as the skin is thinner and lacks hydration. I love using an eye mask to give my eyes a little treat. 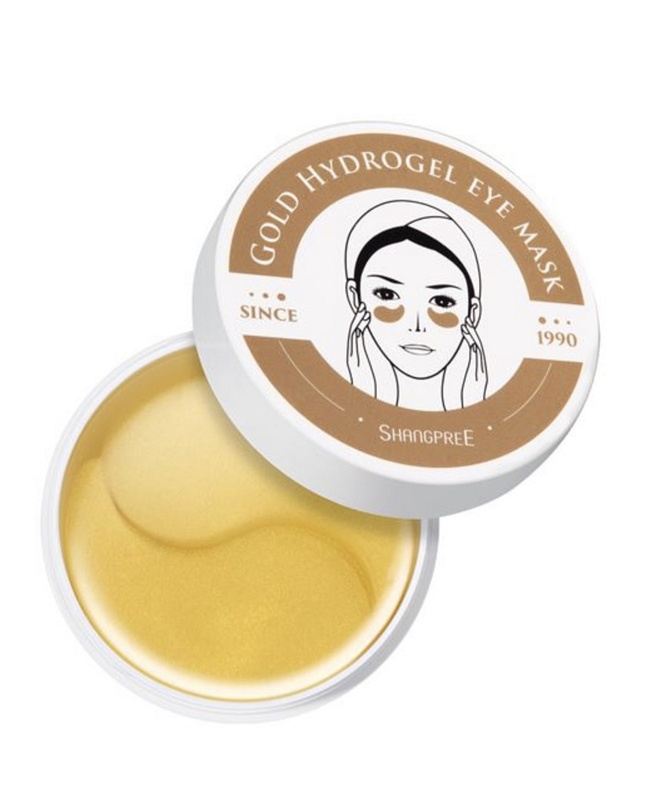 I love the Shangpree Gold Black Pearl Eye Mask. They are so quick and easy to use. I can pop them on and they will be giving my eyes a treat while I prepare for an important event. I don’t tend to wear make up daily but for an evening out I can really see a difference when I’ve prepped my skin with a mask. The masks are enriched with countless minerals and proteins to give a concentrated treatment direct to the eye area. The mask helps to rejuvenate the skins ability to fight those fine lines and wrinkles. I love how it tackles and diminishes dark circles. There is also a Ginseng Berry version which is packed full of powerful anti-oxidants from berries. 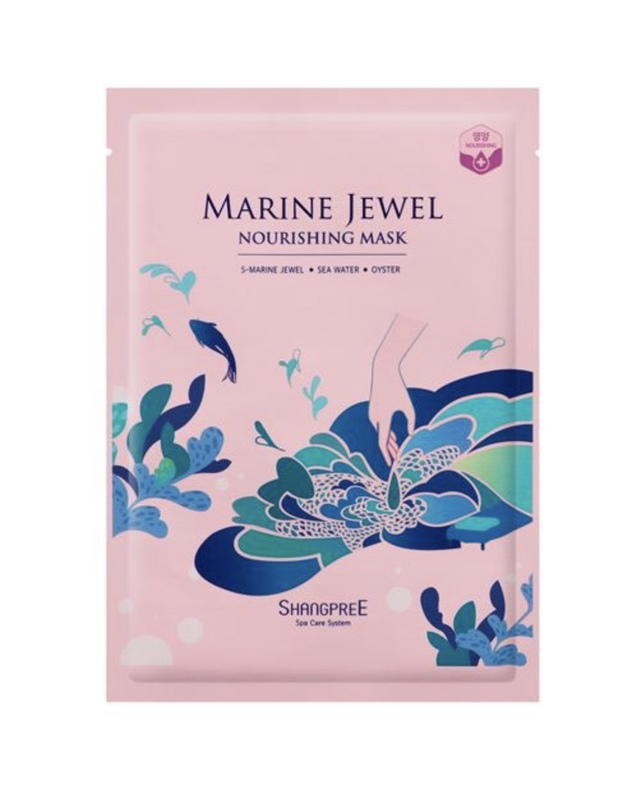 Shangpree have also taken their Spa treatment expertise and applies it to a selection of sheet masks. 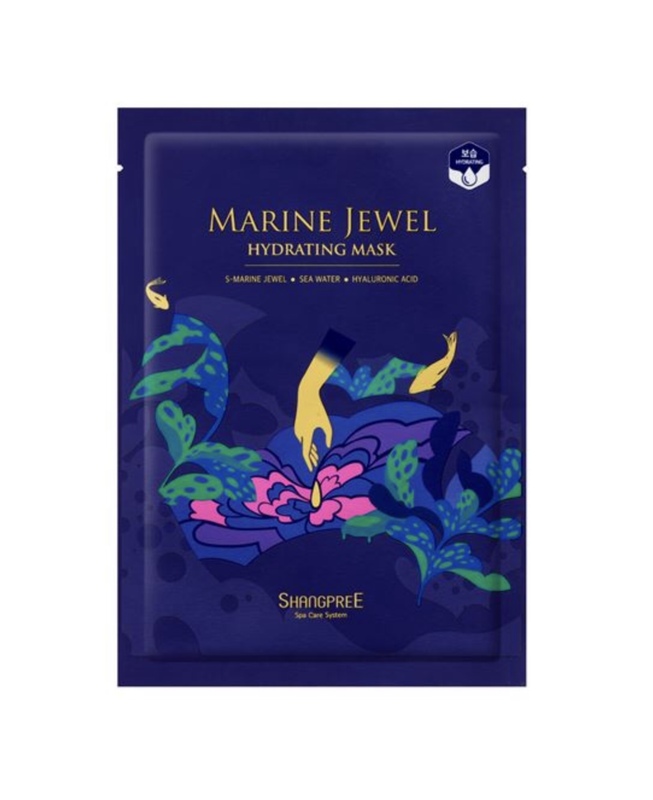 These masks use the incredible strength of oceanic energy to deliver some amazing results. 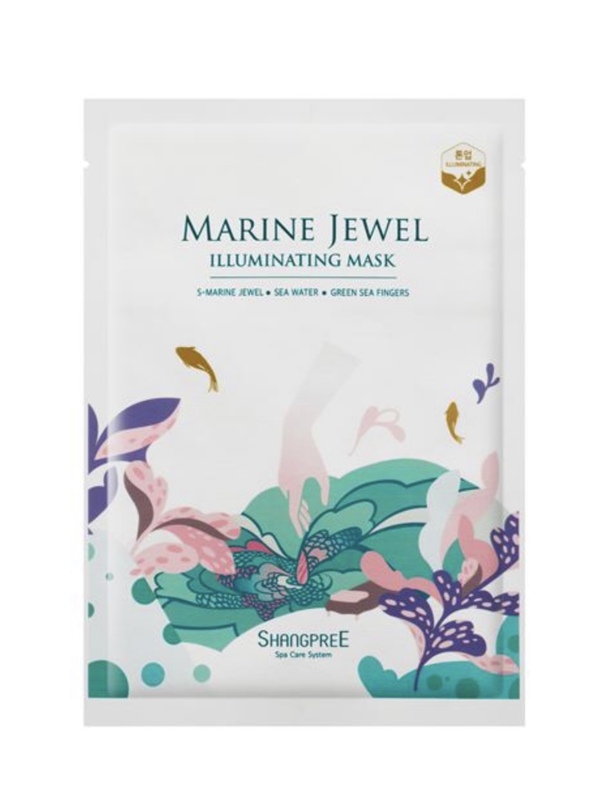 The Shangpree Marine Jewel Masks come in Illuminating, Nourishing and Hydrating versions. All enriched with DNA of salmon, pearls, oysters and seaweed to help rejuvenate and restore a youthful glow. I simply apply the sheet to my face and press into my skin to ensure the best results. I leave on for 10 or 20 minutes, where ever possible. After removing the mask I massage the remaining serum in and then I can apply my daily skincare and make up routine. It so easy. My skin feels smoother and blemish free. I really feel like they have helped to restore my skins hydration too. Explore the Shangpree mask collection at the Shangpree counter in Harrods or at Harrods.com.